My dear father at the age of 69 has had multiple strokes. We are wanting to be able to bring him home to receive the care he needs. He is needing full time nursing as well as physical therapy. 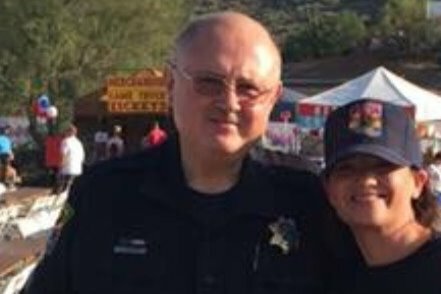 My father Sergeant Brian McFarland worked for Paradise Valley Police Department for 30 years. Retired in 2009. He then went on to work for Cavecreek Police Department, as well as contracted out with multiple Police Agencies in the valley for contract work for another nine and a half years. His dedication to the city of Phoenix and the state of Arizona has been nothing shy of awe inspiring to many. He just lost his wife, my mother in September 2017. His son, my brother to brain cancer in 2010. It has been a difficult journey for our family. It is just myself left his daughter, a single mom and his two grand-daughters ages 12 &15. He has always been here for myself and my two girls, as the father figure my children needed their whole lives. He has been to many faculties that have not had his acute care in mind. It has actually set him back being at these places. He has had 2 more strokes and aspirated pneumonia to deal with being there. Only to be sent back to the Stroke Unit in the hospital all over again. I cannot let him go without a fair fight. The best chance to regain his health we feel is in the comfort of his own home. With myself, and his granddaughters here everyday. I cannot tell you how much I believe in my dad. He is my hero in every sense of the word!! Our situation is urgent due to him needing to leave the stroke unit soon. We are praying for a miracle to help us with the next stage in his health and recovery.